Roll up! Roll up! Next show coming up……..! Yes, we’re taking over the Last Tuesday Society on Mare Street for one day only, on Sunday 3rd of June, with 2 shows: our piece de resistance ANNA KARROTENINA, and the new, hardly-ever-before-shown-or-seen – CRIME AND RADISHMENT!!! The summer life of a vegetable. Hello everyone. We’re pleased to announce our forthcoming show at the delectable and delicious Wyndstock festival this very June 30th. We’ll be performing with the freshest crop of summer actors, in the great outdoors, what could be more invigorating!? See you there! 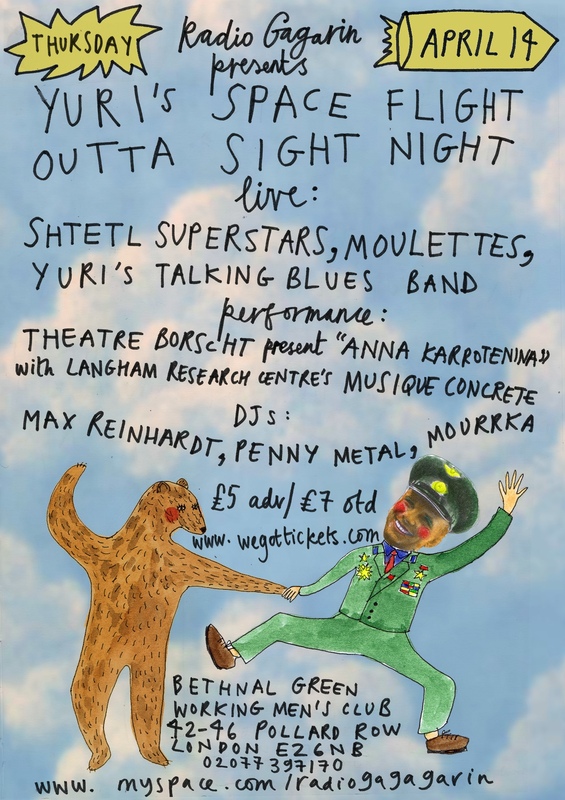 Next gig – for Gagarin! BORSCHT is good for your health. Comrades! We’ve baked potatoes, roasted Jerusalem artichokes and chewed raw beetroot but … Oh! How we’ve been missing you. Not even the finest cooked vegetable compares to an evening on the suitcase stage. So we’re debuting this fine Spring season, with a performance of Tolstoy’s Anna Karrotenina at Pushkin House. 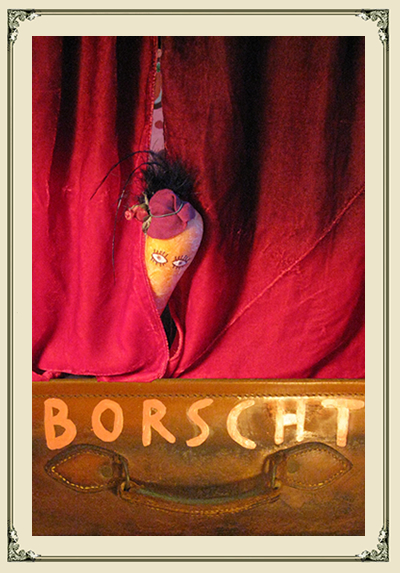 Come along this Tuesday and watch Theatre Borscht perform. Soup will be served. 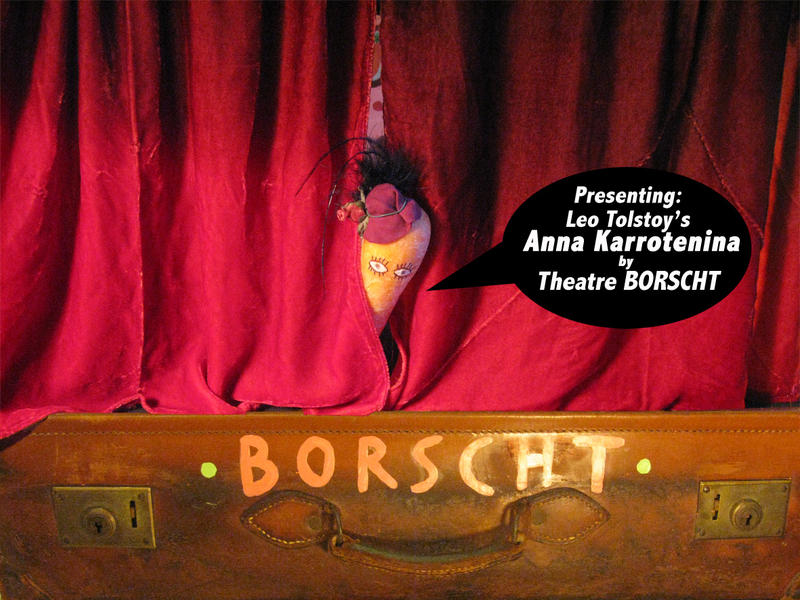 Theatre BORSCHT performing Tolstoy’s ANNA KARROTENINA! After a long summer of meditating upon the being of vegetables we’ve come back to the world of showbiz, to perform our newest masterpiece Aleksand Pushkin’s ‘Eugene ONIONegin’ a tale of love and rejection in an era of disillusion. 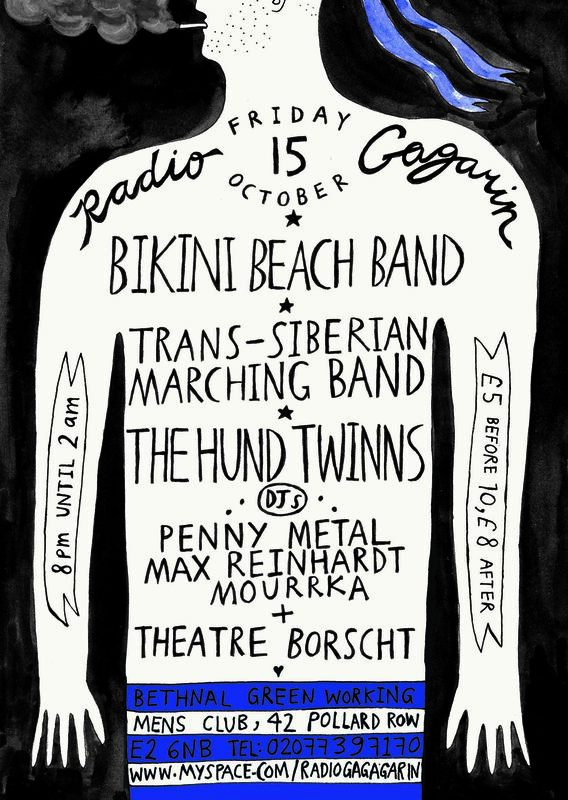 Theatre BORSCHT will be performing as part of Radio Gagarin at the Bethnal Green Working Men’s Club, on Friday October 15th.